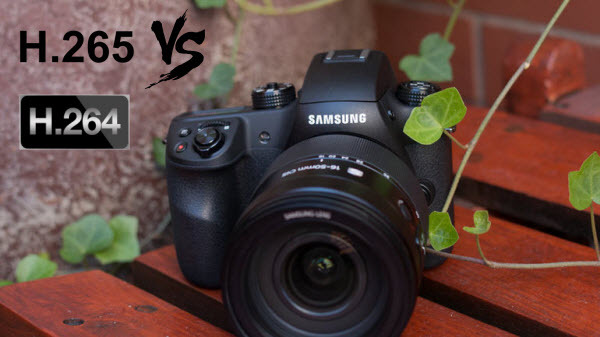 Samsung has ever so slightly stunned the world with its NX1 camera by using a new codec, H.265 (HEVC) and 40Mbps for its 4K video. Being a high-performance video camera, it is able to shoot videos at 4K video at 24 fps, UHD at 30 fps, and full 1080p HD video at up to 60 fps. What a pity that if you found the output footage H.265 from NX1 cannot be accept well by most mobile devices. In order to get a nice watching of Samsung NX1 4K H.265 videos, we need to do some changes. In this post, we will present a workaround to make NX1 footage playable on Windows PC. That is, converting NX1 video files to H.265/HEVC and H.264 codec. 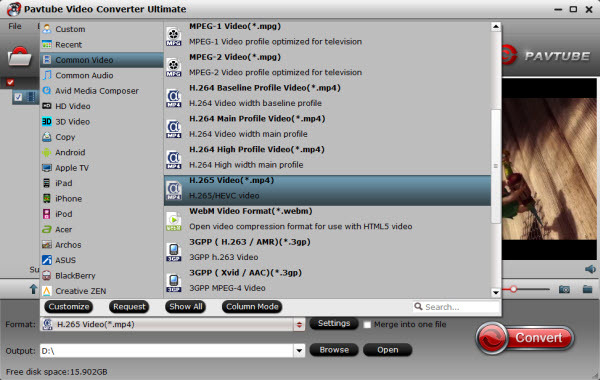 Luckily, we have Pavtube Video Converter Ultimate, with the upgraded version 4.8.2.0, it can work the H.265 well including encoding and decoding H.265 video. Overall, it can help you quickly convert H.265/HEVC 4K video from Samsung NX1 to H.265/HEVC MP4 and H.264 MP4, MKV, M4V, MOV, etc. with intact video quality. Besides, the built-in video editor allows you to edit video by clipping, adjusting video effects, merging videos, adding watermark, etc. Just get it now and let’s learn how to achieve it step by step. You can then select an output format and specify a directory on your computer to save the output files. 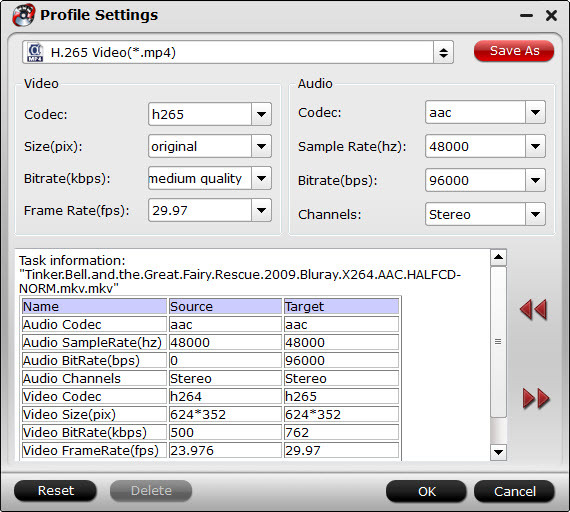 Here you can choose “H.265 Video(*.mp4)” from “Common Video”, or choose three H.264 profiles. Note high codec like H.265/HEVC, or H.264 high profile of course will output much sharper video quality, but the conversion time will also much longer than other common codec. To get the best video quality and sound effect, you are allowed to easily adjust video/audio parameters such as bitrate, sample rate, frame rate, codec, channels, etc after clicking on “Settings”. For example, if your raw video is 4K and there is not such high setting in the drop-down menu, the way to solve this is to type the resolution into the “Size” option manually. The final move on your part would be to click the Convert button. If all the earlier steps have been performed perfectly, then you will get the resultant file in your desired H.265/HEVC MP4 and H.264 MP4, MKV, M4V, MOV format. After the conversion, you will can easily import the converted video files to any portable devices, video editing software or share them on YouTube, Facebook with ease and verve. Tip: If you have Nvidia CUDA/ATI AMD ready graphics card, you can have GPU encoding. Check the status of the CUDA/AMD button on the main interface of this upgraded Ultimate Converter and you’ll learn if CUDA/AMD encoding is in use. Note you can only select the GPU Decode Acceleration when your files are output as baseline profile. Also you can rip a DVD or Blu-ray video to H.265/HEVC video with this all-in-one H.265 Encoder and Decoder.